A visitor to London, exploring the ward of Farringdon Without, and having walked along Holborn and High Holborn, can, from Holborn Circus, follow a series of small roads (Saint Andrew Street, Shoe Lane, Little New Street, New Hardings, Pemberton Row) southward to Gough Square. A statue of a cat named Hodge identifies one of the houses in the square as the one-time home of Hodge's owner, the Eighteenth Century lexicographer and literary critic, Dr Samuel Johnson. Dr Johnson's house, in Gough Square. Photo: Jim Linwood (licensed under CCA). Johnson lived here from 1748 to 1759, and it was here that he completed his famous Dictionary of the English Language (1755). 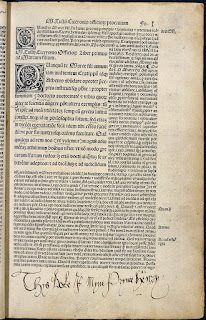 It was not, as has sometimes been claimed, the first English dictionary, but it was the best of the early ones, and provided the model for most subsequent dictionaries. 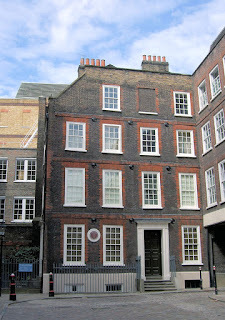 Johnson's house is also one of the best-preserved examples of a Georgian town-house that is open to visitors in London. 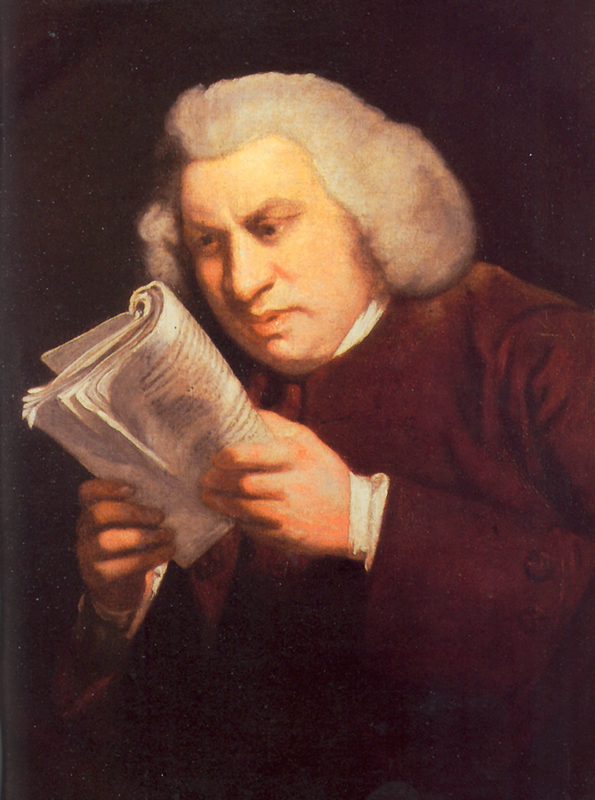 Samuel Johnson, by Sir Joshua Reynolds (1775 - image is in the Public Domain). 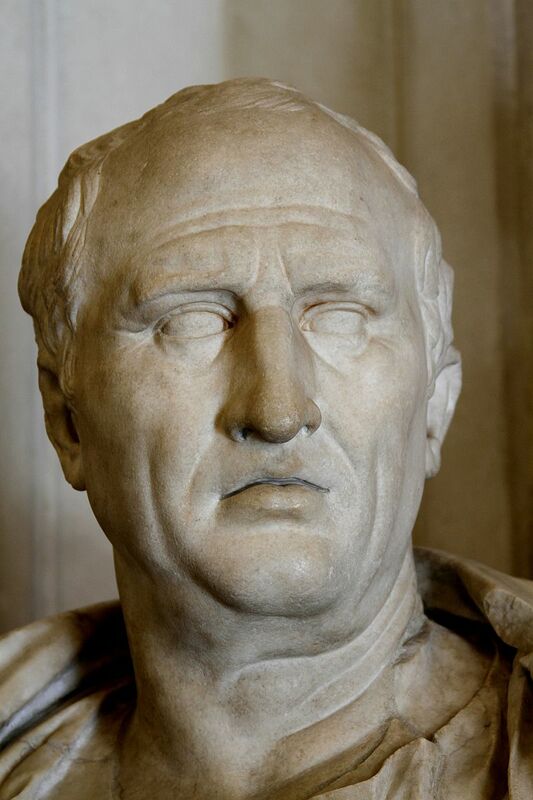 Johnson was an immensely sociable man, whose generosity towards friends and literary associates frequently extended well beyond his own, rather limited, financial means. A widower from 1752, and one without children, many of these friends and associates lodged with him, and helped him in the compilation of the dictionary, working word by word through key texts, beginning with the King James Bible, and the works of Shakespeare, Milton and Dryden. 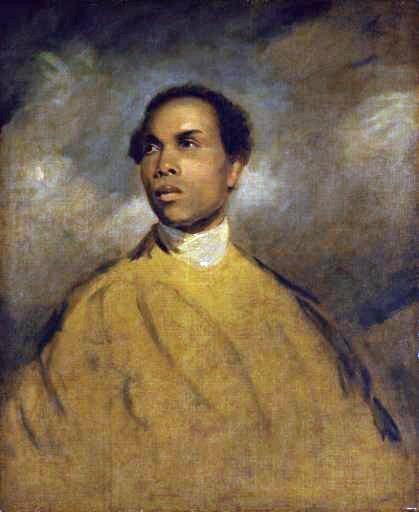 His intellectual circle included women as well as men, and even a former slave, Francis Barber, whom he had educated himself. Francis Barber, by Sir Joshua Reynolds (image is in the Public Domain). One thing that I noticed, on visiting the house last year, was the tiny proportions of the basement kitchen. 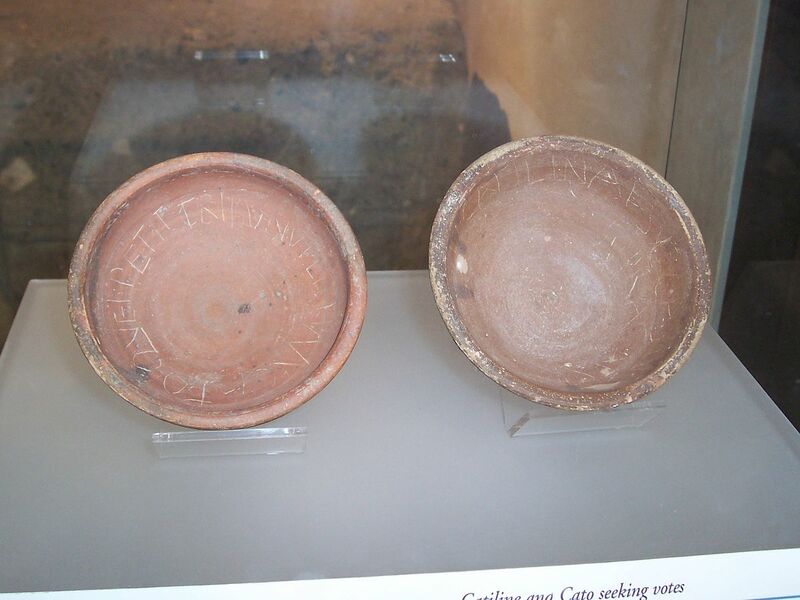 A member of staff overheard me commenting on this to my sister, who was accompanying me. 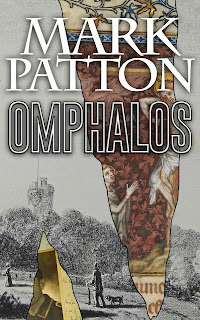 He smiled, explaining that this was a frequent topic of conversation among his colleagues: "we have come to the conclusion that beyond the toasting of muffins and crumpets, very little cooking actually happened here." Johnson, and his many house-guests and literary collaborators, must either have dined out in some of the many pubs and chop-houses in the surrounding streets, or brought food in from such establishments. Such, presumably, were the habits of many literate, middle class Londoners at the time. Walking south from Gough Square, along Hind Court, one emerges into Fleet Street. 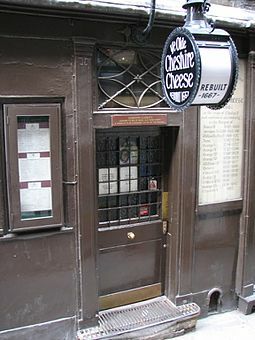 Among the first pubs that one encounters is Ye Olde Cheshire Cheese, which in its current form, dates to the reconstruction of London after the Great Fire of 1666, but which, as an establishment, is much older. It has often been mentioned in association with Johnson, and, although there is no direct evidence that he actually frequented it, it does seem to me more likely than not. What is more certain is that Charles Dickens refers to the pub in A Tale of Two Cities, as does Anthony Trollope in Ralph the Heir. 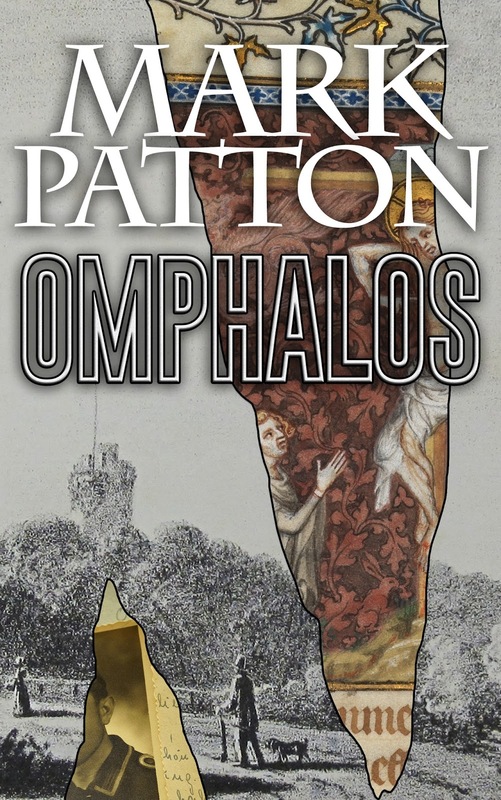 Other literary figures who have held court there include P.G. Wodehouse and W.B. Yeats. Ye Olde Cheshire Cheese. Photo: Banjobacon (licensed under CCA). 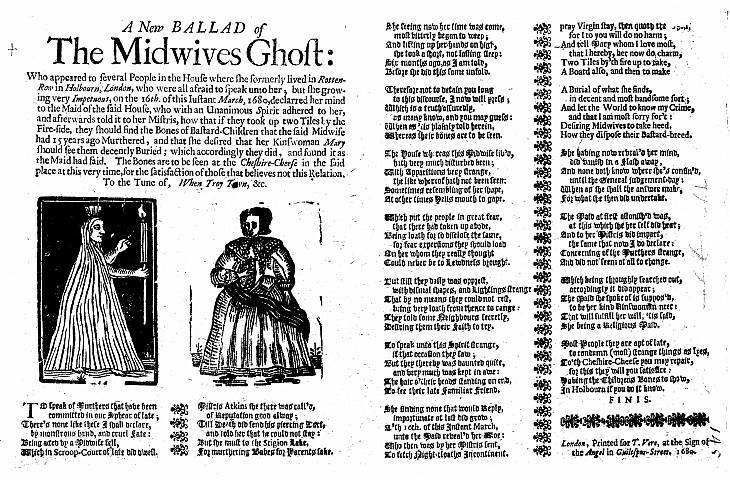 There is a ghost story associated with the pub, concerning a midwife, whose spirit was unable to rest on account of her murder of new-born children that she had delivered. This story was the subject of a Seventeenth Century broadsheet ballad, a recording of which can be heard here. The children's bones were said to be at the pub in 1680, but the current staff were unable to produce them for my sister and I, nor had they seen or heard anything of the ghost. 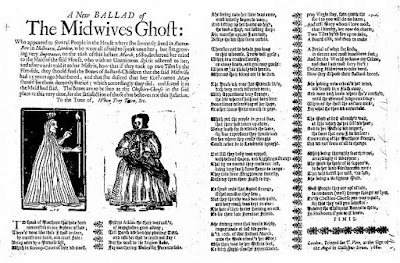 The printed broadsheet of the Ballad of the Midwive's Ghost (1680 - image is in the Public Domain). 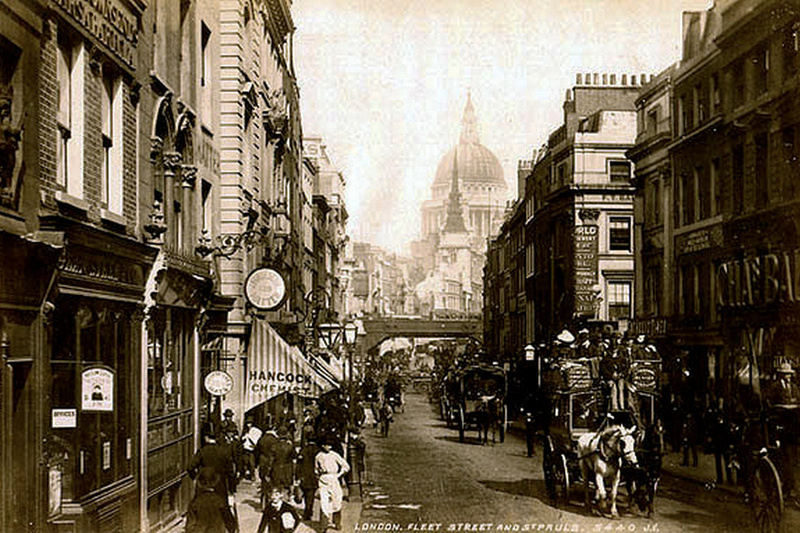 Fleet Street itself runs west from Ludgate towards The Strand in Westminster, crossing the (now subterranean) River Fleet. 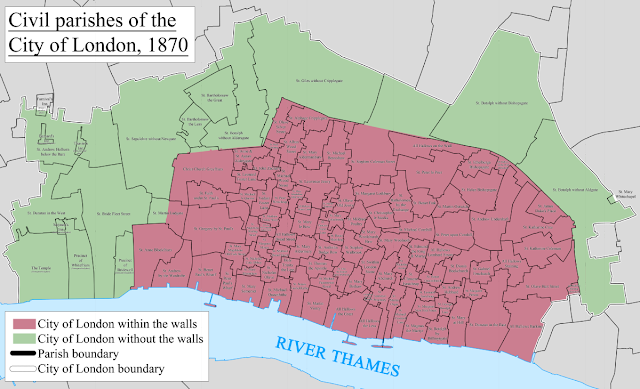 To the south, in the Medieval and Early Modern eras, lay the Bridewell, a palace in the early years of Henry VIII's reign, and subsequently an orphanage and prison; Whitefriars, a Carmelite priory; and the Temple, the London headquarters of the crusading Knights Templar, until the dissolution of the order in 1312. To the north of Fleet Street lay the sumptuous townhouses of provincial prelates, including the Bishops of Salisbury and Saint David's. 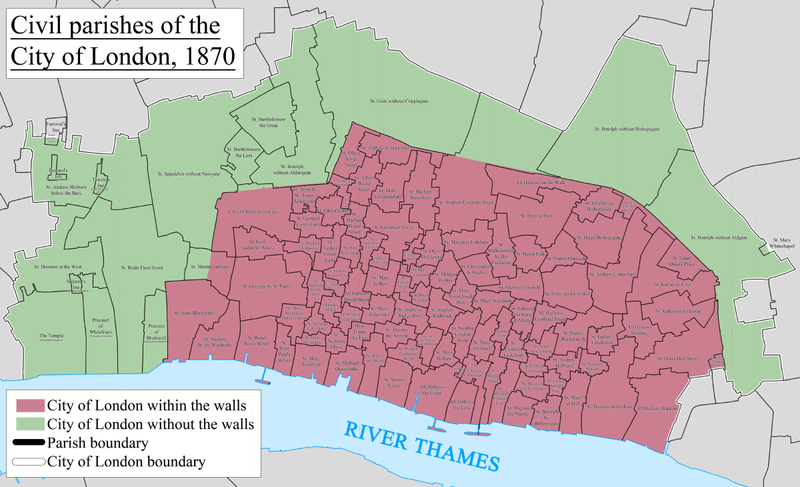 The Civil Parishes of the City of London in 1870, including those (lower left, showing the positions of the Bridewell, Whitefriars and the Temple) bordering Fleet Street. 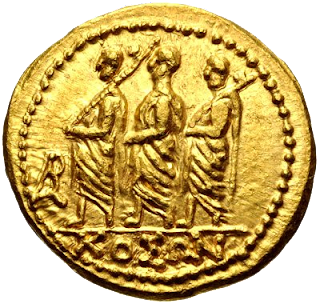 Image: Doc77can (licensed under CCA). Fleet Street is today more famous for journalism (although few journalists actually work there now), going back to 1500, when Wynkyn de Worde set up one of England's first printing workshops near Shoe Lane. The newspaper industry was given a very considerable boost by the repeal of the Newspaper Tax in 1855, and of Paper Duty in 1858, and flourished in Fleet Street until the final quarter of the Twentieth Century. Fleet Street in 1890, looking east towards Saint Paul's Cathedral. Photo: James Valentine (image is in the Public Domain). 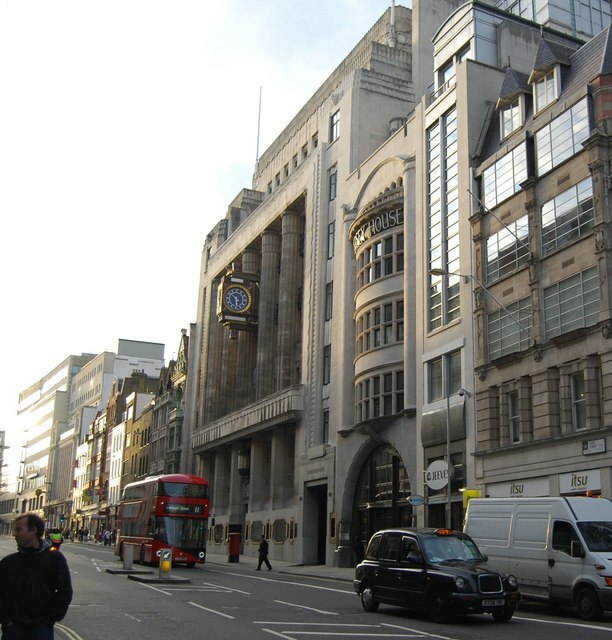 The former Daily Telegraph building, now the London headquarters of Goldman Sachs. Photo: N.Chadwick (licensed under CCA). This stroll along Fleet Street brings us to the end of our exploration of the intramural and extramural wards of the City of London, which I had thought to complete in 2016, but didn't quite succeed. 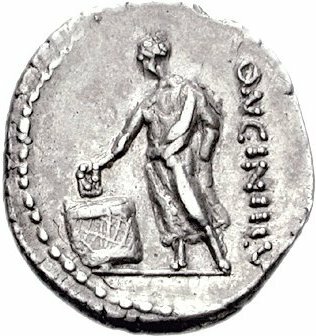 There is, of course, far more to "London," as we understand it today, than simply The City, and I shall be launching a new series of posts in the coming weeks. There has been a good deal of doom and gloom around in the closing months of 2016, so I wanted to start the New Year with something more uplifting. Our Medieval ancestors suffered through wars, famines and plagues, and even the wealthiest among them could not have imagined some of the comforts that most of us take for granted today; yet they produced a great quantity of art that can still speak to us, and lift our spirits in the modern world. The passage of the seasons is a common theme in Medieval art; so, over the coming year, I shall be looking at each month in turn. 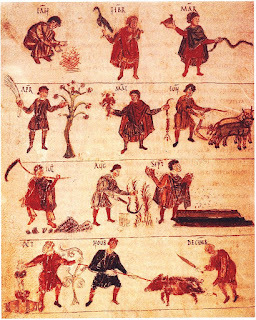 The Labours of the Months: manuscript of c818 AD (image is in the Public Domain). The only art that most people in the Middle Ages would have seen was in churches, and the theme of this art was, of course, religious. 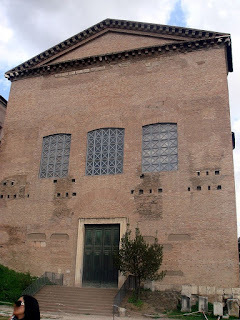 The year itself was structured around the great feasts and solemnities of the Church: both those which are familiar to us, such as Christmas and Easter; and those that have become more obscure with the passage of time, such as Michaelmas and Candlemas. 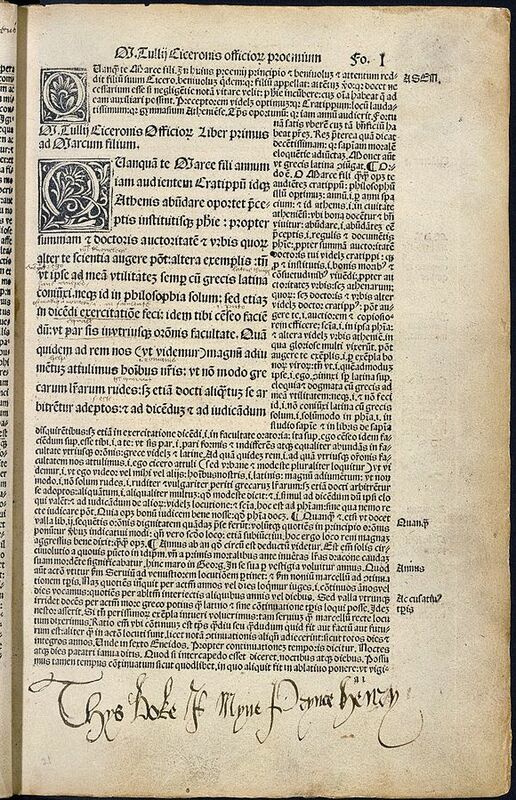 Books were expensive, since they had to be copied by hand, on vellum (animal skin), and few individuals owned them. 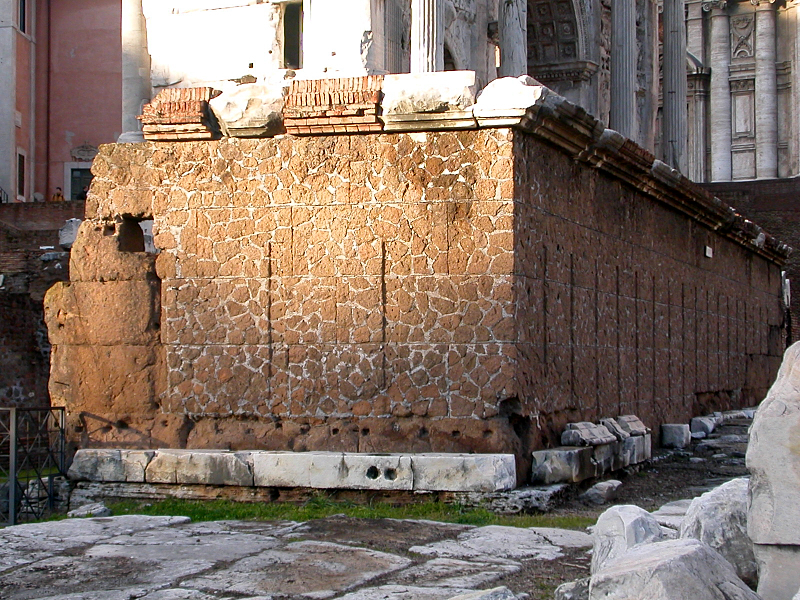 In the earlier Middle Ages, most literate people were either priests, monks, or nuns, and few books circulated outside the libraries of the great cathedrals and monasteries. Through their activities as copyists, Benedictine monks and nuns, in particular, ensured the survival, not only of Christian texts, but also of some of the most important literature of Classical antiquity. From the Fourteenth Century, however, commercial workshops emerged, especially in Flanders and the Netherlands, producing books, sometimes elaborately decorated, for the households of the wealthy. Both men and women worked in these ateliers, the skills being passed from father to daughter, as well as from father to son. 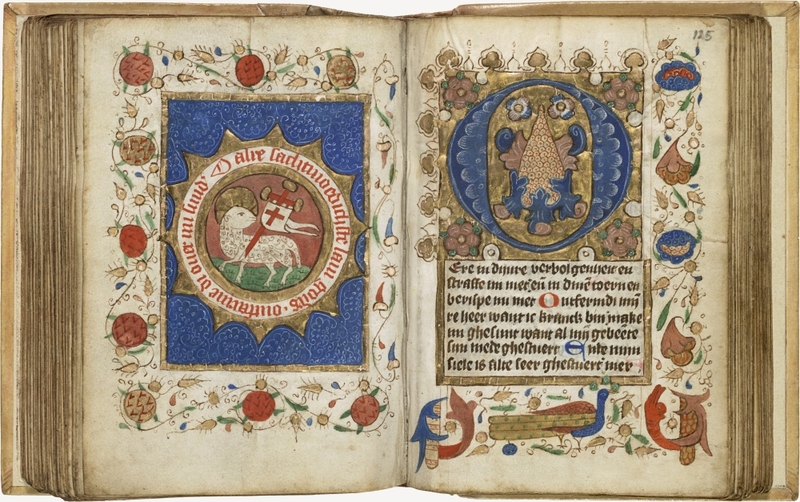 The Arnhem Book of Hours, 1465-85, National Library of the Netherlands (image is in the Public Domain). Unusually, the language here is Dutch, rather than Latin. "Books of Hours," combining the functions of a calendar, diary and prayer-book, were especially popular, and were often presented as wedding gifts to noble women, or as baptism gifts to their children. They were used for private devotion, and most were in Latin. A few have marginal annotations, suggesting that they may have been used to teach children to read. 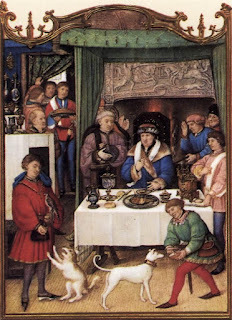 January began with feasting (the festivities of Christmas extending until the 6th of January), and this is sometimes portrayed directly. 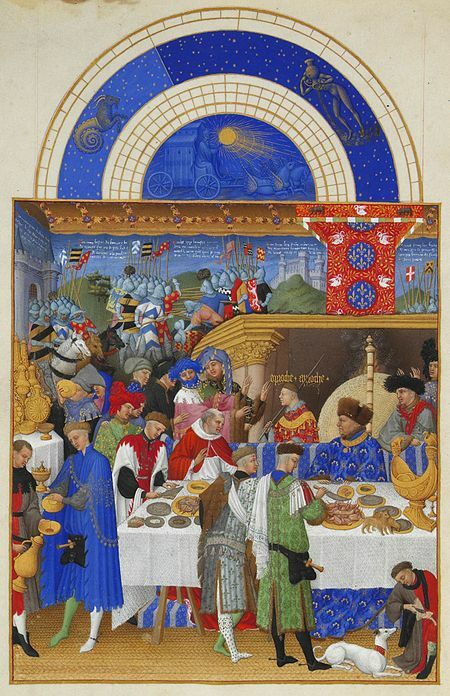 Feasting and gift-giving at New Year, from Les Tres Riches Heures du Duc de Berry, 1411-1416, Musee Conde (image is in the Public Domain). The Duke (seated at the right, in a blue robe) was a member of the French Royal Family. 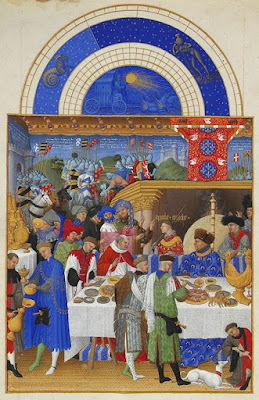 The work was produced in the Flanders workshop of the Limbourg brothers. Feasting at New Year, from the Grimani Breviary, 1490-1510, Biblioteca Marciana (image is in the Public Domain). In terms of religious devotion, the calendar for January included commemorations of Mary the Mother of God (1st); the Epiphany (8th); the Baptism of Christ (9th); and the Conversion of Saint Paul (25th). 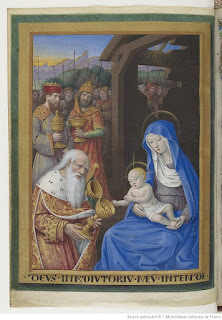 These were occasions for both public and private devotion, and are often marked, in Books of Hours, both by specific prayers, and by appropriate illustrations. The Hours of Marie of Burgundy, c1477, National Library of Austria. 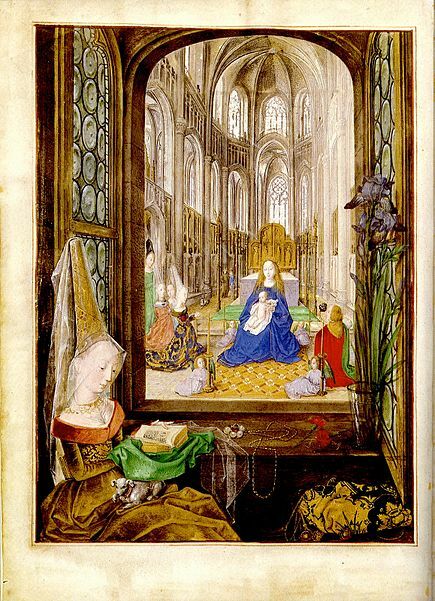 Marie herself is shown reading in the foreground, but also, with her husband, worshiping the Virgin Mary in the background. The Epiphany, from the Hours of Charles d'Angouleme, late 15th Century, National Library of France. Image: Cardena2 (licensed under CCA). 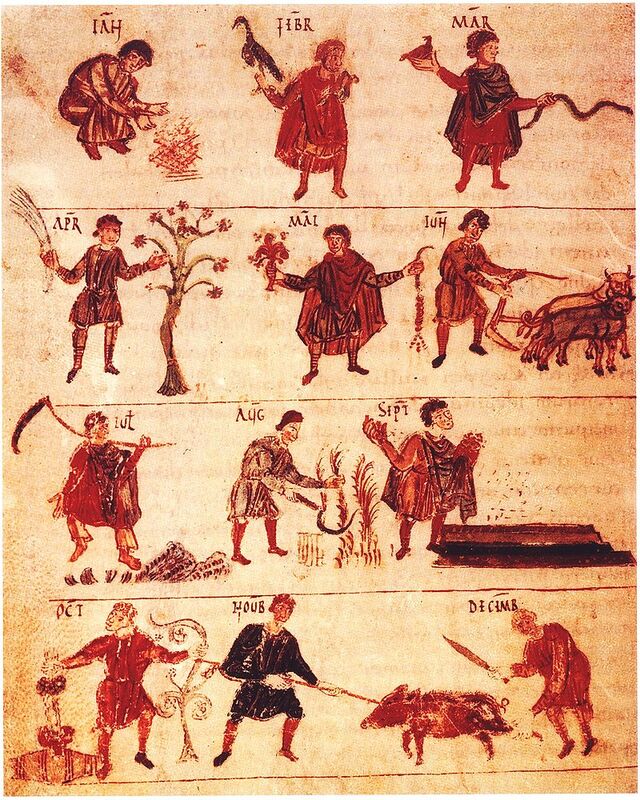 The liturgical, agricultural and astrological dimensions of the year moved in concert with one another, and scenes of daily life appropriate to the season often appear alongside astrological symbols, interspersed with the devotional passages. 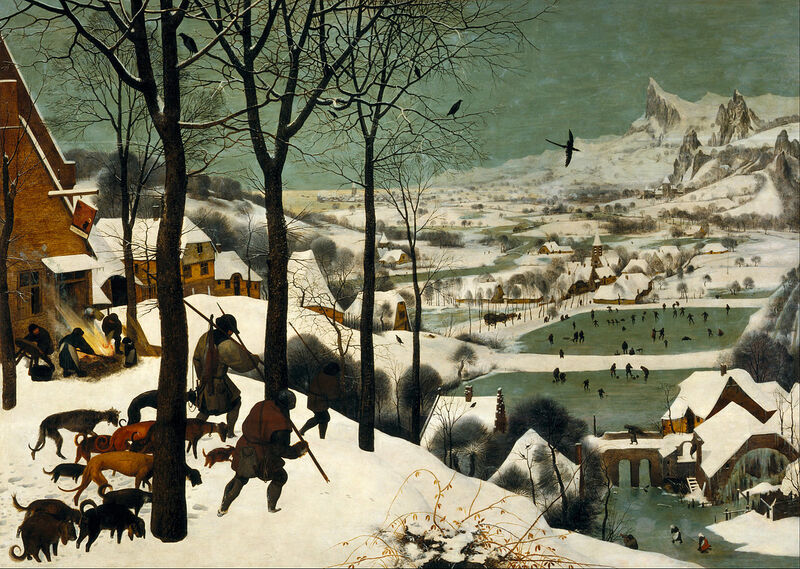 Medieval winters really were colder than modern ones: the "Little Ice Age" that ended the Norse settlement of Greenland and Newfoundland at the beginning of the Fourteenth Century was felt across Europe, and extended into the Seventeenth Century. January, from a Flemish Book of Hours, 1400-50 (image is in the Public Domain). The artist is Simon Bening, whose workshop was in Bruges. "Hunters in the Snow," by Pieter Bruegel the Elder, 1565, Kunsthistoriches Museum (image is in the Public Domain). 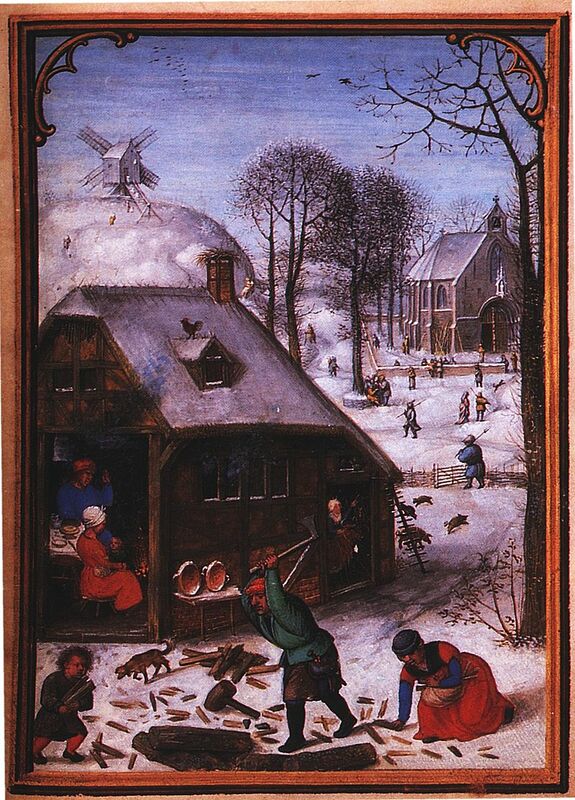 Such paintings emerged directly from the tradition of earlier Flemish Books of Hours. 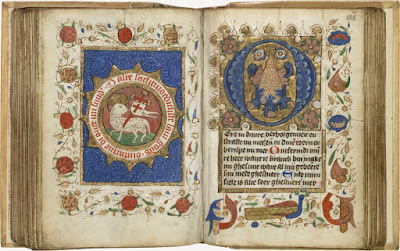 The commercial workshops that produced hand-copied and illuminated Books of Hours continued to operate even after the introduction of printing in the mid-Sixteenth Century, and their clients included the English Royal Family, as well as households of the newly-wealthy commercial class. 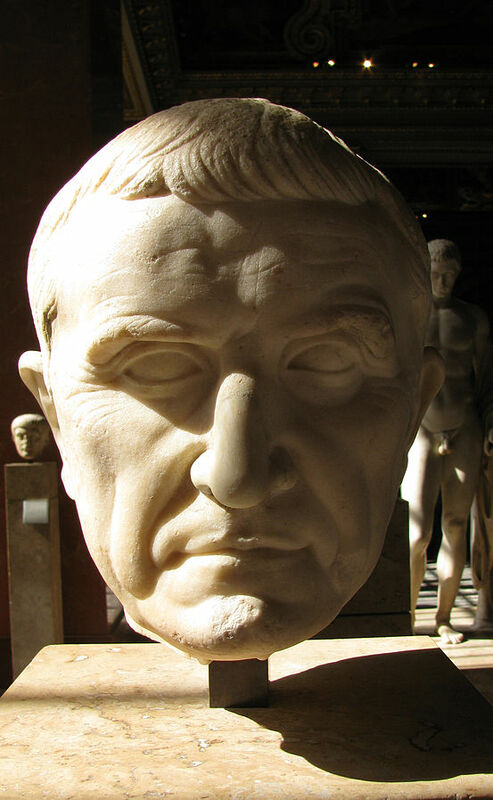 It was only with the Protestant Reformation that the popularity of this art-form began to decline.